Most Cabo cruises start from Los Angelos or San Diego, but sometimes longer ones come from Florida. Taking a cruise to Cabo can be a great way to see the surounding areas as well as an enjoyable ride. 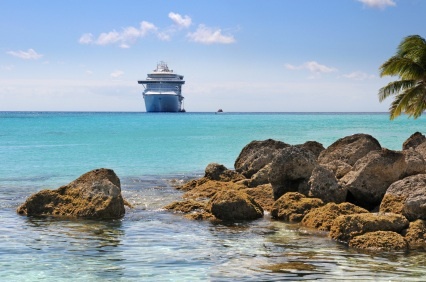 Most cruise ships offer on boat amentities such as swimming pools, on boat shopping, gyms, spas and gambling! All of the boats have dining on board. There are usually activites through out the the day and even programming for children and teens. The ride to Cabo on your cruise can be almost as enjoyable as when you set foot in Cabo San Lucas. The cruise ships in Cabo San Lucas do not “dock.” Instead, Cabo cruises are tendered. This means that they are anchored and small tender boats carry the passengers to the port. You will be taken to the west side of the Cabo San Lucas Marina. This area has many restaurants, activities and you can also hail a taxi if need be. However, once your cruise has docked in Cabo San Lucas, there are vast amounts of day trips, tours and activities to keep you and your family entertained. After debarking from your Cabo Cruise, You could relax on the beach, take a snorkeling tour to the famous El Arco, go ATV riding, or try eating in the famed the Cabo Restaurants. And make sure to get your shopping done! And as you travel back from your Cabo cruise, the vacation will still be going on as you continue to lounge by the ship’s pool and enjoy the on-boat amentities.